وطنية - مزرعة بني صعب، قرية من قرى وبلدات قضاء بشري. ترتفع عن سطح البحر 1000م. تصل اليها عن طريق بلدة قنات. وحدودها تصل الى بلدة نيحا في قضاء البترون، حيث تبعد عنها أربعة كيلومترات. تعود تسميتها الى عائلة بني صعب ذات الأصول المتحدرة من المتين، والتي اقتطعها الامير بشير الثاني على منطقة "المشنقة" في الحدث حتى البحر. وقد تولت العائلة ادارتها لأن احد أفرادها وهو المسمى اسعد جرجس الخوري، وفي مبارزة في منطقة "الجريد" على الخيل، انتصر على "العبد التركي" وقتله، وقد سماه الامير آنذاك ب"أسعد الصعبي". مزرعة بني صعب ليس فيها مجلس بلدي بل مختار واحد، ويبلغ عدد سكانها 1000 نسمة مسجلين في دوائر النفوس يقترع منهم حوالي 460 ناخبا. سكانها يقصدونها ويقيمون فيها في فصل الصيف، وفي نهاية كل أسبوع من السنة. أما في فصل الشتاء فهم يتوزعون على مناطق البترون وجونية ونواحيها والمتن. ويوجد عدد كبير منهم في بلاد الاغتراب، خصوصا في استراليا وكندا وأميركا، والجالية الأكبر منهم في البرازيل. القرية غنية بالأودية والينابيع والاشجار الحرجية كالصنوبر والأرز والعفص والسنديان. من ينابيعها المشهورة نبع الطن، نبع عين العربة، عين المزراب ، عين الخوري وهي تؤمن الري للمزروعات والاشجار المثمرة كالتفاح والإجاص والكرز وغيرها... ولمياه الشفة بئر ارتوازي يؤمن المياه للمزرعة ومزرعة بني عساف ونيحا وكفور العربة وحردين وبيت كساب أنشأه مجلس الإنماء والإعمار، بالاضافة الى مياه تابعة الى وقف مار ضومط توزع على المنازل مجانا. في مزرعة بني صعب العديد من المغاور، إحداها تقع على حدود مغارة مار شليطا في قنات وتدعى مغارة الطن، مغارة الملح ومغارة الشنيف تنبع منها المياه. ولا تزال الطواحين شاهدة على كثرة ووفرة المياه فيها، ومنها طاحونة المشايخ، طاحونة صليبا وطواحين تابعة لبلدة قنات في المزرعة وهي لطحن القمح وقد توقفت عن العمل منذ فترة قصيرة. وبما أن القرية هي في قلب وادي قنوبين، فلا عجب اذا كثرت فيها الكنائس والمزارات. فكنيسة الرعية هي كنيسة مار ضومط وقد تم بناؤها منذ 40 سنة، وكنيسة مار شربل دشنها البطريرك الماروني مار بشاره بطرس الراعي. ومن مزاراتها مزار مار أنطونيوس الشير ومزار مار اسطفان. وللدلالة على روحانية البلدة وإيمانها، نذر العديد من ابنائها حياتهم لخدمة الرب، حيث نجد فيها راهبات العائلة المقدسة المارونية وراهبات القديسة تريزيا الطفل يسوع. وهي بلدة رئيس دير مار يوحنا مارون في كفرحي الخوري يوسف ابي صعب، وهو من الأوائل الذين حصلوا على شهادة الفلسفة في اللاهوت من الفاتيكان، بالاضافة الى أن البلدة غنية برجال الفكر والثقافة في مختلف الميادين والمجالات الطبية والهندسية والتربوية والسياسية والعسكرية. فمن قرية مزرعة بني صعب سفير الاكوادور في قطر قبلان بهيج ابي صعب، والقنصل الفخري لمدغشقر في لبنان مارسيل ابي شديد. وأوضح مختار البلدة انه يوجد في بلاد الاغتراب وتحديدا في اوستراليا أربعة مهندسين اشقاء من آل فاضل هم من ألمع المهندسين في تلك البلاد". كما أن والدة "البطل الأهدني" يوسف بك كرم "الست عليا" هي من قرية مزرعة بني صعب. تتميز القرية بناد، هو نادي "النهضة" وهو يعنى بالشؤون الاجتماعية والرياضية والسياحة البيئية وتحديدا "الطرق القادومية". وأجمل ما يميزها في الوادي نهر العصفور الذي يخترقها ويفصلها عن بلدة قنات وبرحليون. وميزتها الأحلى انها جارة أرز تنورين وأرز البطريركية. There has been a change in the art scene throughout Lebanon these past few years. From artsy cafes to apartment communities, more people are embracing an alternative culture. The days when Hamra used to be one of the only centers for culture are long gone and Beirut is experiencing a boom in a subversive culture aimed at using knowledge and art to combat the country's shaky reality. The city's history of war and progression has made it a must-visit for any art or culture lover! Here is your guide to the best places to see in 24 hours. First opened in 1961, the mansion was dedicated to art by Nicolas Sursock and has a regular selection of local contemporary art. The venue itself is a piece of art as it combines Venetian and Ottoman elements with many of its original interiors still preserved. Some of the names in the museum's permanent collection include Shafic Abboud, Etel Adnan and Assadour, who are prominent artists in the country. Get introduced to local 20th and 21st-century art and expand your view of international works. 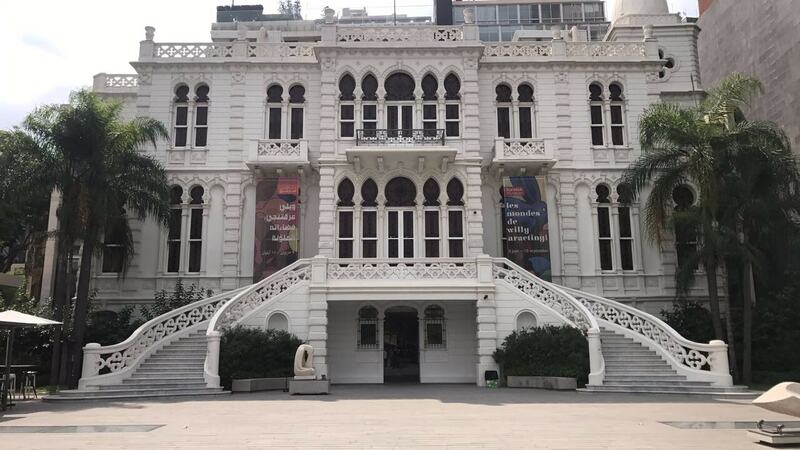 This museum is a must-visit for an art lover in Beirut. If you're looking for a cultural space to rest after your walk in Sursock, go into any venue in Hamra street or visit Beirut's numerous book cafes. Many of these have a unique interior any art lover would enjoy. Get introduced to Beirut's burgeoning intellectual community at its locals' favorite spots. Dar Bistro and Books is a boutique bookshop with a curated collection of books and a lively community. The little bistro hosts several different cultural events throughout the year and is any art lover's dream. Bask in the local intellectual community and immerse yourself in a new art scene with this little hub. Another bookshop and cafe, Oliver's Kitchen is a perfect place to relax after a day full of cultural tourism. Its urban yet rustic aesthetic coupled with its board game community and library makes it the ultimate hangout. Enjoy a cup of coffee and a good conversation at this amazing venue. 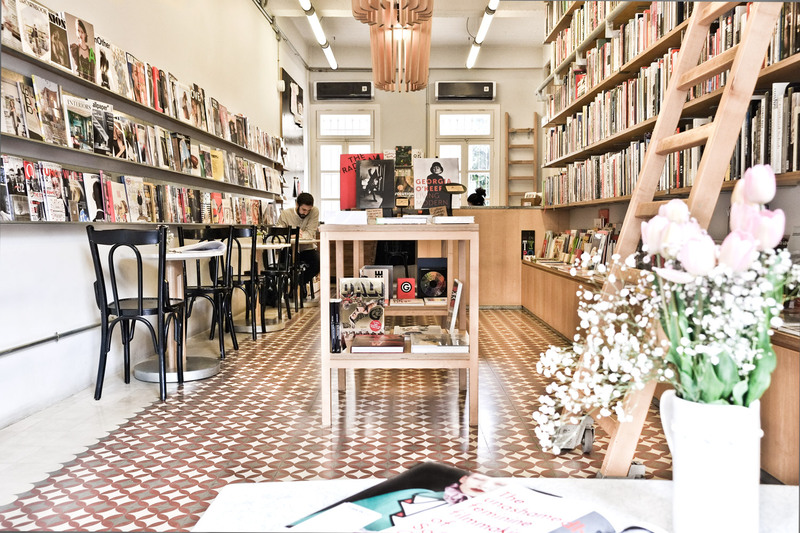 More refined and urban than the latter, Paper Cup is a coffee place and bookshop dedicated to local and international prints. They have a carefully curated selection of art, fashion and design. The venue also doubles as a work space for the creatively inclined and is its own community. The venue also issues its own magazine The Sounder and is one of Beirut's hubs of culture. 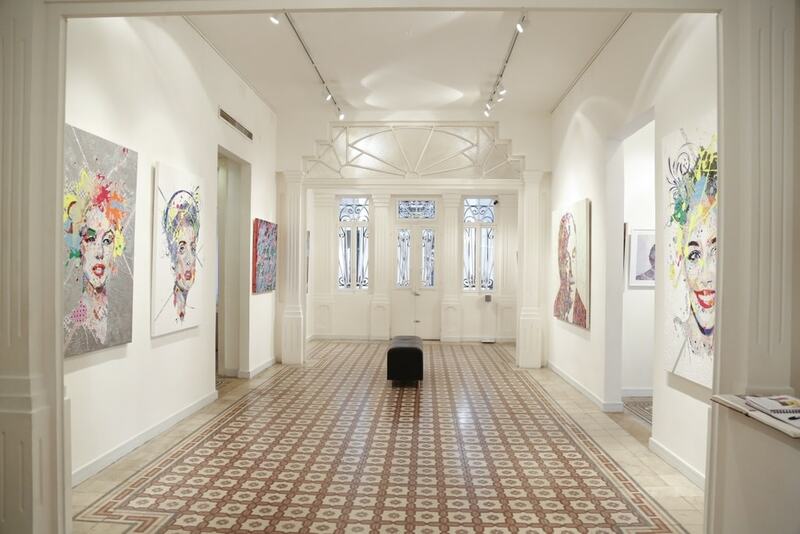 Art galleries are sprinkled around Beirut and their culture is as alive as ever! With Beirut's annual art fair it's natural that the community is constantly replenished and has survived the country's tumultuous history. Founded by Noha Wadi Moharram in 2012, Art on the 56th is a thriving art hub in Gemmayzeh, Beirut. Home to the up-and-coming talent in Beirut and the region, the gallery is the perfect place for an art enthusiast. Its location in a picturesque historical building gives Art on the 56th a balanced aesthetic and juxtaposes its contemporary exhibits. While not exclusively an art gallery, Station Beirut caters to local contemporary and even revolutionary artists. With a regular stream of events almost avant-garde in their provocativeness, the space offers a curious look into Lebanese alternative culture and arguably the country's future. Dedicated to experimental local art, Beirut Art Center is one of the city's biggest hubs of culture. Non-profit and not requiring entrance fees, the center is a venue truly dedicated to the emphasis of beauty. It has a main exhibition space, auditorium and bookshop as well as an abundant space for art lovers to hang around. 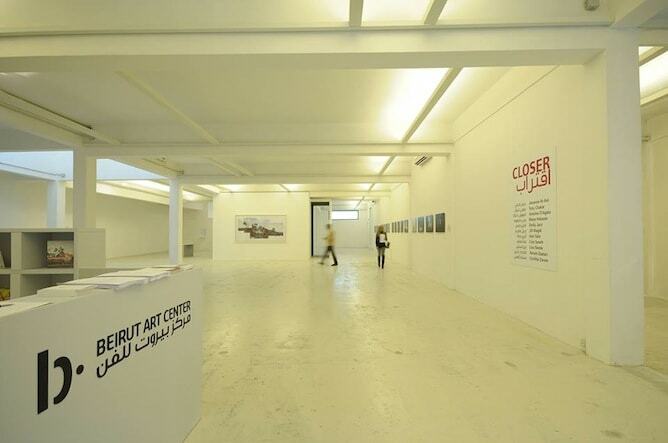 The aim of Beirut art center is to produce and perpetuate modern knowledge. All that being said, just walking around Beirut is any art lover's dream. From street art to war-torn buildings, the city has a history like no other. The juxtaposition between Downtown Beirut, the newer districts and the older streets offers a unique visual panorama of the city's different faces. Walk around Hamra for a more gritty urban vibe and end up in Beirut's center – the image of refinement and curated modernity. Check out the graffiti littering the streets, usually an expression of locals' needs and observe the people. Even the city's architecture is subject to curious urban planning and a differing amount of development. Check out old buildings that are a short walk from high rises and take on all of history's influences on this unique city. 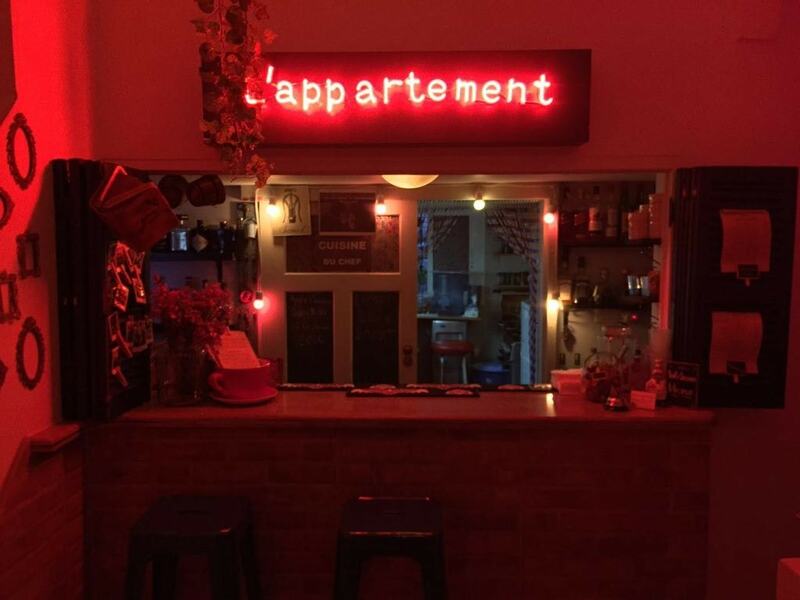 If you're looking for a more personal and literally homey community, L'appartement is for you. There is a curious community concerned with culture growing in every Lebanese city, with the center being Beirut. This small venue is a one of the biggest examples of the locals coming together and giving alternative culture a voice in a more traditional country. More and more of the locals are embracing knowledge – a knowledge that surpasses the country's rocky political situation. A subversive new generation challenging the status quo and embracing a truly artistic aesthetic. With art exhibitions, live music events and even dance workshops, L'appartement proves a staple on any art lover's must-visit list. BEIRUT: In the days of flashy pubs and pounding music, the dimly lit wooden facade of Captain's Cabin stands out as a relic of a bygone era. Now over 50 years old, the ramshackle bar is one of Beirut's historic landmarks. Tucked away along Sadat Street, a few meters off the main Hamra Street, Captain's Cabin has weathered the storm of decades of war. Andre Toriz, an amicable man of Mexican origin, had just been born when his father and three Middle East Airlines pilots begun looking for a place to drink and play cards away from their wives' reproachful looks. It was 1964 when the four men rented an old fish shop, covered its yellow tiles in wood, and transformed it into their new getaway. "My father was the only one among them not to be a pilot, but they all called him captain," Toriz told The Daily Star. As more men started spending their layovers there, the place was expanded, and opened as a fully licensed bar and restaurant in 1972. Alongside its original decor, which includes wooden bar stools and a dartboard from the late 1960s, the pub displays a number of objects collected throughout the years. An old telephone is still beside the entrance door while World War II-era machine guns hang on the walls. Above the counter, hats worn by MEA pilots in the 1970s stand as a tribute to the pub's first customers. As a kid, Toriz, now the owner, used to spend his afternoons after school at his father's bar. "I watched everything that was going on behind the bar, this is how I learned the job," he said. His routine was interrupted by the start of the Civil War in 1975. "We thought [the fighting] would last two or three months, my father kept telling me that things would get better," he said. But the war raged on for years and the constant power cuts made life difficult for restaurants, which struggled to keep large quantities of food refrigerated. "We were the first ones to buy a generator, but it was so loud that we could barely hear each other talking," Toriz recalled. The security situation obliged all businesses in the Hamra district to close by 6 p.m., allowing pubs to work no more than four or five hours a day. But they were determined to remain open, only closing in 1982 when the Israeli invasion forced them to briefly relocate to the eastern part of Beirut. "When we came back, it was a beautiful moment. Foreigners were coming back to Lebanon, business picked up again, the place was so full of clients that I was constantly busy serving beers," Toriz said. Soon, however, things escalated again in the mid-1980s. He remembered how on one occasion he was peering out of one of the bar's tiny windows with his brother when an army official spotted them and dragged them onto the street, holding them at gunpoint. "Luckily a higher rank officer who knew us arrived in that moment and told him to let us go. The lesson there was, never look out of the window if there is a shooting," Toriz said with a grin. However, he said the years leading up to the 1989 Taif agreement were the most difficult. He looks back fondly at the countless nights he spent holed-up in the bar waiting for the sound of gunfire to subside. He would sleep on the tiny corner couch that still sits in the pub, his legs resting on one of the bar stools. At times, clients would also spend the night waiting for the streets to be safe enough to make the journey home, as the picture of four burly men staying through the night that hangs on a wall still testifies. When his father died in 1997, Andre Toriz ended his two-year stay in Venezuela to return and take over Captain's Cabin. "He worked here his whole life, I could not throw it away," Toriz, who also holds a degree in business management, said. Nowadays, most of those who he shared his "experience of the war," as he calls it, with are either dead or abroad. But among his most affectionate customers are the sons of those who used to hang around the bar back in the day. "Once a couple came back to tell me that this is where they met," Toriz said. Thanks to his persistence, Captain's Cabin is now past the 50-year landmark. When asked why, unlike many, he did not give up on his business in the hard times, his reply echoes his father's words: "The earth turns and you turn with it, nothing is constant. Those who give up do not have the patience to think that it will get better." Sure Lebanon is small. That’s not news! However, despite its small size, we have A LOT going on! Let’s take the winter season. The range of beautiful and large mountains do not fail to impress. Mzaar Ski Resort is widely known as the Middle East's largest ski resort. The resort has 42 slopes and 80 kilometers of ski tracks. For advanced skiers looking to explore the entire resort, hiring a guide to show you the best and most exciting areas is an option. There are 19 different lifts that take you to slopes ranging from Beginner to Advanced. Located to the south of all other resorts, Zaarour Club is distanced 35 km from Beirut which is about a 35minute drive. Zaarour club is the closest ski resort to Beirut. 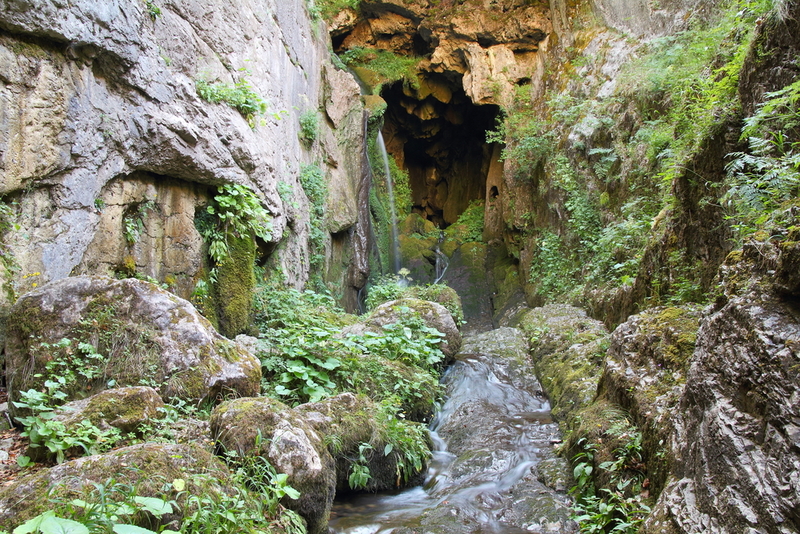 Zaarour club offers endless activities all year round to meet everyone’s interests. There are 6 different lifts ranging from Beginner to Advanced. LaqlouqVacances Villages is a winter and summer resort. Its first ski resort was installed in 1958 followed by major enhancements to the slopes and the creation of a very qualified ski school. There are 6 different lifts that take you to the slopes ranging from Beginner to Avanced. The Cedars resort is located in the North of Lebanon. Skiers came to the resort as early as 1920, and have been returning there ever since. The first lift was installed by the government in 1953.Since located at high altitude (2000m), the Cedars resort has a slightly longer season than the others. There are 5 different lifts ranging from Beginner to Advanced. Started in 1974, Faqra Club, located in the village of Kfardebian, is made of nicely designed chalets and beautiful gardens unveiling hundreds of colors in the summer. There are 4 different lifts ranging from Beginner to Advanced. QanatBakish is an old village that is definitely worth visiting. 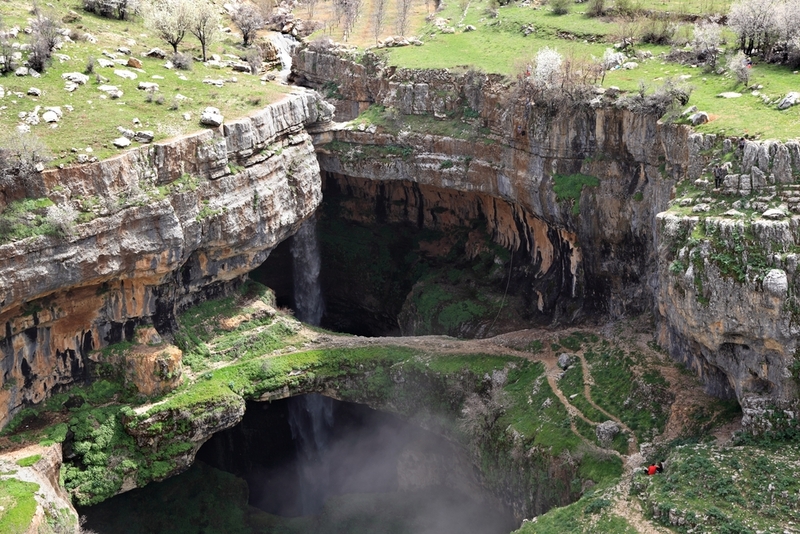 It is one of the best preserved towns in Lebanon. The first ski lift was built in 1967, and since then the resort has been developing to host more skiers. Snow Land Hotel Management took over 12 years ago and has been working to strive ever since. There are 5 different lifts ranging from Beginner to Advanced. Ignore soldiers on the street. Don't panic when you see armed troops or even tanks, it’s normal. Don’t join any protests or take pictures of them and you’ll be fine. Locals are experts at distinguishing between fireworks and gunshots, so if they if they aren’t panicking you shouldn’t either. Use the triple greeting. The quickest way to fit in (especially if you’re a pale westerner) is to greet everyone in English, Arabic and French at once. Hi, kifak, ça va? After that, if you can’t speak the language, simply throw in the three most common expressions every few minutes: Laaa (you’re kidding, repeated quickly three times), yiiii (really?) and wallah (not bad). Don’t be scared of the dark. The country has daily electricity blackouts, usually without warning, that will interrupt your daily schedule. Plan activities like blowdrying your hair, running the AC or watching your favourite show straight after a blackout ends and you stand a chance of finishing before the next one. Wear loose pants to lunch. Renowned for their hospitality, the Lebanese take their food seriously, and they’re damn good at it. Street schawarmas are a firm favourite. The mezze options are endless and the portions generous. Wash them down with arak or a bottle of well-priced Lebanese wine, it’s better than you might think. Prep your liver. The Lebanese are famous for partying. Dress to the nines then say goodbye to your cash and your dignity at at glitzy rooftop clubs. Book a table, order expensive champagne and infamous dou dou shots for a night you’ll never remember. A word of warning, ‘superclubs’ have stripper poles, not dance floors. No politics or religion. This tiny country is way more complex than most. Under Christianity you’ll find Maronites, Greek Orthodox, Melkite Greek Catholic and Armenian Apostolic. On the Muslim side you’ll find Sunni and Shia, Alawi, Ismaili and a Druze minority. As for politics, there is no separation of church and state. The president must be a Maronite Christian, the Prime Minister a Sunni Muslim, and the Speaker of Parliament a Shia Muslim. It’s organised chaos. Oh, and while you’re at it, never mention Israel. Bring your beach body. In summer you’ll find dozens of sun soaked beaches filled with fit, bronzed bodies. The Lebanese practically live on the beach. There aren’t any free public beaches anymore, so make sure you’re ready for the parade at a private beach club. Lose your watch. Everyone is always running late. An hour is fairly standard. There's no such thing as timely when it comes to the Lebanese. They don’t understand the rush or the fuss, so plan accordingly. Competition is fierce. Lebanon has some of the most beautiful people on the planet, but it’s a country where women outnumber men by a significant margin. Sidewalks quickly turn into catwalks.Not surprising when you can get plastic surgery loans from the bank (I kid you not) and they have some of the world’s best surgeons. Fair warning, as a westerner you’ll be seen as a threat by the women and a catch by the men. Dating is a minefield. Should you make it beyond the first couple of dates, at some point a typical conversation to determine whether you’re compatible will involve a series of questions roughly in this order: Religion, social status, education and political affiliation. Haven’t made any plans yet? Here are a few of the parties happening around town. We’ll keep making more of these lists as more parties pop up! What: A 12-hour party (9 PM - 9 AM) featuring artists Stimming (live), Karmon, and Magdalena. Cost: Between $33 and $66: Open bar and mini bites all night. Open premium bar available for tables. What: A glamorous speakeasy themed party; play dress up and have a great time! What: A Great Gatsby themed party, music, live performance, food, special room rates, and drinks! What: Dinner, live performances, dancers, and a DJ. Cost: $250 for three-course menu with premium bar . What: Spend NYE with your favorites DJs: Dahu, Martin Roth, Par Grindvik, Ziad Ghosn. B0 is always a guaranteed good time. Cost: Prices available upon request, call 03/810618 for inquiries. What: Board games, drinking games, music videos on the screen, live performances, and a DJ spinning. What: Dinner menu, open premium bar, and special entertainment. Cost: Prices available upon request, call 70-220223 for inquiries. What: Guy Manoukian performing live his greatest hits, amazing food, one of kind lighting, and much more! Cost: Prices available upon request, call 81-700900 for inquiries. What: Start your year with a laugh! Cost: Prices available upon request, call 71-411115 for inquiries. What: A more chilled out New Year’s party; a night of cheese and wine and games, in a fun and very friendly atmosphere with great music. Come alone or with your friends since everybody will share tables and games with everybody else. What: Step into Factory Friday's hot damn massively party. Put your best 70s inspired gear on, dance like thunder and get your shag on all the way through 2017! What: Four course menu, open premium bar, dancers, acrobats, fireworks, entertainment, and much more! Cost: Prices available upon request, call 03120201 for inquiries. What: Celebrate NYE under one big beer garden tent along with Nemr AbuNassar and the band Arnabeat. What: Join Coop D'Etat for a new year's eve party with a special DJ lineup. What: Join Metro on New Year's Even with DJ El Wad Na3Na3 behind the decks to accompany your special night. What: In both the Hamra and Dbayeh branches. DJs, live entertainment, surprises, and more! What: It will be a night that you will never forget with an amazing lineup and surprises. Cost: Prices available upon request, call 71-861874 for inquiries. What: A 3-course menu, open bar, live entertainment, and more! What: Live jazz, dinner, and a crazy party to boot. Cost: Prices available upon request, call 71-939398 for inquiries about Dbayeh, and 71-663375 for Hazmieh. What: A delicious four course menu, a small bottle of champagne for each person, and fantastic music! What: Have a very Italian New Year’s with Appetito, a four course meal, and an incredible DJ. What: Party the night away with music and friends! What: A DJ, a live band performance, surprises, gifts, and more! Cost: $150 - $200 - $250 depending on the menu and table. Open premium bar and specialty desserts for all. What: A homey evening with the best Italian food in town! What more could you want? For the past 11 months, the 25-year-old Tripoli native has been working to embed himself within the fabric of this market space, which he learned is as much a treasure trove of culture as commerce. Situated adjacent to the Qadisha River by the Citadel of Raymond de Saint-Gilles, Souk al-Ahad lies in the midst of the “most chaotic part of Tripoli,” Mourad says. Located not far from violent clashes in the recent past between warring groups in Jabal Mohsen and Bab al-Tabbaneh, the market is the means of livelihood for a diverse group of vendors. As a film student, Mourad spent his undergraduate years studying audio visual production at the Lebanese German University in Jounieh. He has since matriculated in the master’s program in visual arts and cinema at Kaslik’s Holy Spirit University. Mourad’s documentary filmmaking journey began with a short documentary, “Belonging: Tripoli,” a study of his “abused” hometown that garnered him five awards and screenings in a dozen national and international film festivals. Mourad said his entire film education can be attributed to Nadia McGowan, his professor and mentor and a producer of “Sunday Market: Tripoli.” The project is still in postproduction, which is being financed via crowd funding. Over the course of several months exploring the market, Mourad looked beyond the trinkets and hidden gems, confessing that he had begun to fall in love with the community. Eager to learn more and share the stories of vendors of Souk al-Ahad, Mourad used his lens to center on the diverse faces, exposing the stories that make up the market. The vendors of Souk al-Ahad come from some of the most marginal groups in Lebanon. Without any other options, some live on-site full time. Unsurprisingly, the diversity at Souk al-Ahad also stratifies the community, creating a hierarchy of power. Mourad has reached out for support but has been disappointed to find that Tripoli’s municipality in particular has no interest in participating in his project. Despite the difficulties he has faced in finding sponsorship, Mourad preserves in his efforts to narrate the inner workings, hidden life struggles and love stories of Souk al-Ahad. Carpeted with powdery snow and studded with glacial peaks, Antarctica has all the ski space must-haves to rival the world's best resorts. With the season upon us, the polar island is organizing more and more expeditions by the day, where you can show off your skills in a veritable winter Wonderland. Antarctica's very first (and unique) luxury camp is situated in the heart of Queen Maud Land. Offering stays of one week at a time, visitors flock to explore the land of ice through seasonal activities, from skiing and paraskiing to ice treks and penguin-filled polar safaris. When the day is done, hit the hay in one of six domes designed by Ryan Ashworth, equipped with all the comforts you could ask for - soft couches and beds, crackling fireplaces and fully-stocked bookshelves. A must-see spot, Gulmarg is taken by storm in the busy winter season. Seduced by kilometers of pistes at over 3950m high, as well as the abundance of snow, skiers have made it their own. What's more, since 2013 the resort has offered visitors the chance to try their hand at heli-skiing above the Himalayas. Inspired by the traditional architecture of Kashmir, The Khyber Himalayan Resort & Spa is one of the best hotels in Gulmarg. With a modest wooden design, each of its bedrooms features delicate Indian fabrics and looks onto the Pir Panjal mountain. Another reason to pop by, its Chaikash tea room is a specialist in afternoon tea and is full to the brim come après-ski o'clock. 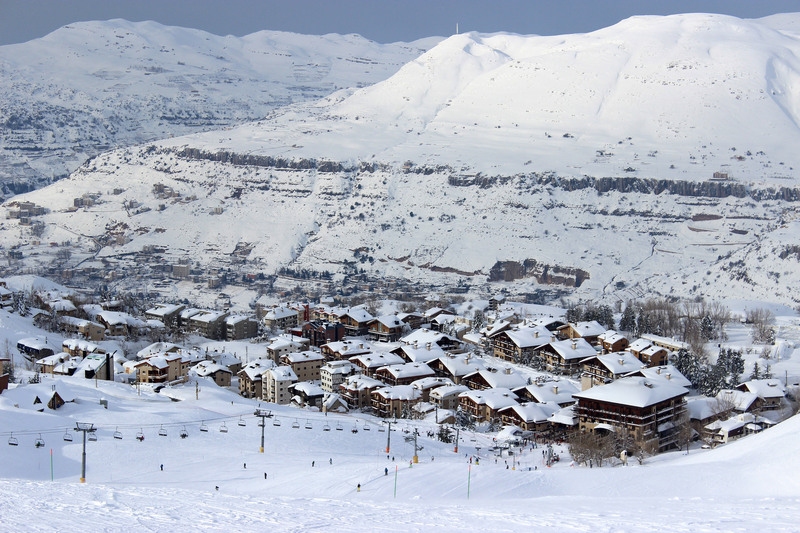 Though not well-known in the West, Kfardebian is considered one of the Middle East's best destinations to ski. At less than an hour from Beirut by car, it's a Lebanese favorite when winter descends, with its mile-long pistes, plush hotels and a multitude of outdoor activities. The first five-star establishment in a Middle Eastern ski resort, the InterContinental Mzaar Mountain Resort & Spa has the best of the best. As well as its spacious rooms with a view and delicious Lebanese restaurant, the place houses a top-of-the-range spa with a wide variety of treatments from aromatherapy and Shiatsu to ayurvedic massages and facials. The ideal spot to relax and recover after a busy day on the slopes. Lying right at the Russian border, Gudauri is the most renowned resort in Caucasia - that is if you can get to it. Its regular blizzards make access hard at times, but when the sky is blue powder fanatics rejoice, permeating kilometers of pistes to enjoy a stunning view over the endless Silk Road. With Nata Janberidze and Keti Toloraia at the helm, the Rooms Hotel Kazbegi is the Tbilissi crowd's favorite address. Taking up in an old Soviet building, the interior sits somewhere between a New York loft with exposed wood, steel and bricks, and a typical Eurasian home with its traditional upholstery and a myriad of oriental rugs and low tables. A stylish stop at the foot of the pistes. Known for its spectacular eruptions, Etna has an unexpected side - one you can ski. Perched at 3300m high, mogul mavens hurtle down the snowy slopes of the volcano, between sea, sky and fire. An experience like no other. Clinging to the side of Mount Etna, the four star Corsaro Hotel is practically the only one in the area. After undergoing a grand redesign in the 1990s following the devastating eruption of 1983, its new look is refined and comfort-heavy with a handful of volcano-view bedrooms, mere footsteps from fresh powder snow. The 2016 - 2017 survey of the world's most expensive retail rental locations by property consultants Cushman & Wakefield ranked Hamra as the 2nd most expensive streetin the Arab region and 44th most expensive worldwide. Last year, Hamra was ranked as the 48thmost expensive rental location and now renting in Hamra costs on average 93$/sq FT. Prime street in Qatar follows Lebanon in the ranking as the 45th where it costs on average 92$/sq FT per year. City Centre in Jordan is ranked as the 50th where it cost on average 65$/sq FT per year. Naturally, the first in the world was named to be Upper 5th Avenue (49th - 60th Sts) in New York - USA where it costs on average 3000$/sq FT per year followed by Hon Kong and Paris. Rue Verdun and Kaslik are also mentioned in the report stating that 18.1 RENT US$/SQ FT/YR& 18.1 RENT US$/SQ FT/YR respectively. It's interesting to see this report since most of the cities mentioned have increased in their rental prices since the last year. BEIRUT: Since the start of September, the Metn town of Beit Mery has been working to implement an innovative zero-waste management program, the first of its kind in Lebanon. Designed and managed by Cedar Environmental – a Lebanese environmental and industrial engineering organization – the program has, the project leaders claim, completely eliminated municipal landfill waste. According to the municipality head Roy Abou Chadid, all the garbage produced in the town, with the exception of medical and industrial by-products, is either recycled or composted. To date, the facility has processed over 777 tons of materials. “This all started as an emergency plan during the garbage crisis in 2015,” Ziad Abi Chaker, founder of Cedar Environmental, told The Daily Star. What has emerged is a comprehensive waste management system that includes the sorting, composting and processing of recyclable materials – “the first zero-waste landfill operation in Lebanon,” Abi Chaker explained. “All recyclable products are set aside, and biodegradable products are composted. What remains is compressed under high temperatures and turned into ‘ecoboard,’ which can be used as a building material,” Abou Chadid said. Moreover, the compost, along with the ecoboard and reused recyclable products, “creates more jobs and puts materials back into the economy, in addition to [creating] good quality fertilizer for agriculture,” Abi Chaker said. Additionally, Abou Chadid noted that the new program was roughly 50 percent cheaper on a monthly basis than the town’s previous contract with Sukleen – the main waste contractor for Beirut and Mount Lebanon. The town now pays just $62 per ton, as opposed to $149. While the project has been rolled out without significant fanfare, meaning some local residents said they were unaware of the changes, those who had seen the new project were supportive. On the one hand, Cedar Environmental is striving to address these wide-ranging issues by expanding their projects into other municipalities. “We would like to duplicate this in as many communities as possible. We hope that it will allow them to come together to address this crisis on their own.” While Abi Chaker didn’t speak explicitly about the group’s next project, he noted it would be bigger than the one implemented in Beit Mery – possibly processing up to 25 tons of waste per day, and capable of serving up to 50,000 people. Concern over incineration was echoed by Rima Habib, a professor in the Department of Environmental Health at the American University of Beirut. Referring to an initiative supported by caretaker Education Minister Elias Bou Saab that installed an incinerator in the Metn town of Dhour Choueir, Habib explained that the project faced heavy opposition. Ayoub himself was generally pessimistic about the prospect of improving Lebanon’s waste crisis – despite the successes of Cedar Environmental’s project in Beit Mery. “There is no one solution that fits the whole country,” he said. Because of Lebanon’s diverse array of landscapes and highly concentrated urban areas, large processing plants like the one used in Beit Mery might not be possible everywhere. “As far as cities are concerned, composting is out of the question,” Ayoub told The Daily Star. “They need the area for sorting and manufacturing all of this.” Moreover, if cities tried to ship their waste elsewhere to be processed, the logistical barriers would be huge. “The cost of transportation would be so high that it would not be feasible anymore,” he said. The question of transportation is also an issue when it comes to the more basic prospect of increasing landfill space outside urban centers. By Ayoub’s account, the only viable solution is more research. “You need to study every single area by itself, study the economics and study the available places you can use,” he said. Despite the serious problems that remain in the Lebanese waste management system, people like Abi Chaker are optimistic that progress can be made. “People [in Beit Mery] are excited about their new options, and about the idea that this crisis is solvable,” he remarked. BEIRUT: Michel Aoun has been sworn in as Lebanon's 13th president after gaining a simple majority in the second round of voting in Monday’s highly-anticipated presidential election in Parliament, putting an end to the country’s 2-1/2-year vacuum. “In my name and the name of the Parliament, we present to you the sincerest congratulations in the election of a president for the country during these hard times,” Parliament Speaker Nabih Berri said after tallying the votes. Moments after Berri’s announcement, Aoun took the constitutional oath, promising to prioritize political stability to the country. “I came at a hard time, and there is a lot of hope that I will overcome difficulties. ... The Lebanese need their state to protect their rights and obligations and for there to be a president who guarantees safety,” Aoun said. He also called for the establishment of a new and fair electoral law to be passed before legislative elections, economic reforms and a solution to the Syrian refugee crisis. Lawmakers later offered their congratulations to the country's new head of state. The Change and Reform bloc leader and founder of the Free Patriotic Movement initially received 84 votes, only two less needed to win the first round to become president. In the second round, he secured 83 votes in his favor, 18 more than the 65 votes needed for a simple majority. Before counting even ended, fireworks celebrating Aoun’s victory could be heard across Beirut. The second round was repeated twice after an extra vote – 128 instead of 127 – appeared for a second time in the counting process. Parliament Speaker Nabih Berri called on the vote repeat for the second time, after Kataeb Party leader MP Sami Gemayel protested the counting process taking hold. MPs Antoine Zahra and Marwan Hamade were then assigned by Berri to monitor the ballot box, which was brought to the front of the Parliament hall to avoid any errors. “It’s been a long time since we have voted. We need time to learn. What a shame!” Berri told lawmakers. Thirty-six of the 127 lawmakers submitted blank ballots in both rounds, in line with a request from rival presidential candidate MP Sleiman Frangieh. A lawmaker submitted a paper voting for Lebanese singer and social media celebrity Myriam Klink in the first round, while another voted for "Zorba the Greek" in the second round. All lawmakers were present at the session with the exception of resigned Tripoli MP Robert Fadel. Aoun, who arrived at the Parliament hall at exactly 12 p.m, was welcomed by applause by most of the MPs. Berri was the first to arrive to the Parliament session in Beirut's Nejmeh Square, with lawmakers belonging to the Change and Reform bloc arriving shortly after. About 30 minutes before the 12 p.m. election was set to begin, a two-thirds quorum, or 86 MPs, had arrived to Parliament for the first time since April 2014 when the first, fruitless session was held. More than 100 MPs had arrived by about 10 minutes before noon, including Future Movement leader Saad Hariri, and Prime Minister Tammam Salam. This is the first time Change and Reform bloc MPs have attended Parliament's election sessions after boycotting the last 44 of 45 sessions. Aoun was widely expected to be elected president after having secured the backing of Lebanon’s main factions, especially after Hariri announced his support for Aoun earlier this month. He was also backed by Hezbollah and the Lebanese Forces. Parliament had been unable to reach a quorum in the past because the Change and Reform bloc, along with Hezbollah and other March 8 parties, boycotted the session pending agreement on Aoun's election as president. About 180 officials and personalities were invited to attend Monday's session, including the Russian and Syrian ambassadors in Lebanon and Army Commander Gen. Jean Kahwagi. Lebanon had been without a president since the term of Michel Sleiman ended in May 2014. BEIRUT: Family and friends filled the Saint Nicolas Church in Beirut’s Ashrafieh area Sunday as they said their final goodbyes to one of Lebanon’s most beloved singers and composers, Melhem Barakat, who passed away two days ago. His coffin arrived from the nearby Hotel Dieu Hospital at around 10 a.m. to the Greek Orthodox church, where a funeral mass was held by Orthodox Archbishop of Beirut Elias Aoude at around 1 p.m. It arrived in a black hearse with a large picture of the late singer on top, as loudspeakers played his songs. His life-time friend and Lebanese poet Nizar Francis helped carry the coffin inside the church. Many Lebanese singers and politicians were present at the funeral mass. "We are going to miss a lot of his songs, words and laughter...It's not only a loss for his town, family and fans, but one for all music," Lebanese singer, Ragheb Alama said. The renowned singer passed away Friday at the age of 71, after battling an illness. The funeral convoy later departed to the Mount Lebanon town of Kfarshima, the home town of Barakat, where he will be buried. Hundreds of people joined in the funeral procession in the town, which took place around 3 p.m.
Barakat was one of the few Arab singers to perform in colloquial Lebanese Arabic, a stylistic choice that he defended throughout his career. The Lebanese musical icon also launched an acting career, appearing in several films in the 1980s and participating in many of the acclaimed Rahbani Brothers’ musicals. When the musical legend wasn’t singing, he was composing songs and collaborating with famed artists such as Ghassan Saliba, Majida Al-Roumi, Najwa Karam and Carol Sakr. He is survived by his three children from his first marriage Majd, Waed and Ghinwa, and a son named Melhem Junior from his second. وطنية - كفرصارون بلدة صغيرة في قضاء الكورة يبلغ عدد سكانها حوالى 2000 نسمة وترتفع عن سطح البحر 350 مترا، تشتهر بموقعها المميز فهي صلة وصل بين اميون عاصمة القضاء وعدد من البلدات، منها كفرعقا وكوسبا وبزيزا، تشتهر بطبيعتها الهادئة ومناظرها الخلابة، وتعمل بلديتها المؤلفة من تسعة اعضاء على تطويرها من خلال سلسلة مشاريع إنمائية تقوم بها للصالح العام في البلدة على مختلف الاصعدة. وفي هذا السياق، أكد رئيس البلدية ميشال الحلو في حديث ل "الوكالة الوطنية للاعلام" ان البلدية تعمل من أجل مساعدة الناس الى أقصى الحدود وتأمين كل احتياجاتهم اليومية وقد قامت بسلسلة من المشاريع من أجل إنماء البلدة كتأمين المياة وشبكة الصرف الصحي والطرقات المعبدة من أجل تسهيل حياة المواطن والعديد من المشاريع الترفيهية من ملعب رياضي وحديقة عامة واحتفالات سنوية والاهتمام بالقضايا البيئية والسهر على أمن المواطنين. يوضح الحلو ان "مشروع شبكة المياه بدأ منذ عام 2011 حين صدرت الدراسة بإنشاء شبكة كاملة للمياه موصولة بالشبكة الكبرى في الكورة، تؤمن المياه للبلدة بسعي من الوزير جبران باسيل في ذلك الوقت، أما اليوم فتعمل البلدية على إنشاء خزان كبير تم تمويله بمسعى من وزارة الطاقة والمياه عبر اليونيسيف وهو بسعة 1000 متر مكعب يؤمن المياه للبلدة، وهو يقع على طريق كوسبا بزيزا التابعة عقاريا لكفرصارون ينتهي العمل به نهاية العام الحالي، اما فيما يتعلق بشبكة الصرف الصحي فهي تغطي البلدة 100%". وضع الطرقات في البلدة "مقبول نسبيا" بحسب الحلو، "فالطرقات الداخلية تمويلها مؤمن من الصندوق البلدي، ولكن لن تبدأ البلدية بمشروع التزفيت قبل وصل شبكة المياه بالمنازل وإعادة التأهيل ستكون قريبة جدا في فترة أقصاها الربيع المقبل". بالنسبة إلى الطريق العام، يطلب الحلو من المواطنين "التروي لان تزفيتها هو من مسؤولية الدولة اي وزارة الاشغال العامة والنقل وليس البلدية، وبعد ان تمت الموافقة على مشروع اوتوستراد كوسبا - شكا الأمل كبير بان ينتهي كابوس الحفر لدى المواطن الكوراني". في ظل ازمة النفايات التي تمر بها البلاد، يؤكد الحلو ان "لا تكديس للنفايات على الطرقات في البلدة، لان البلدية تعمل على نقلها الى مكب في عكار". وأوضح الحلو أن "مشروع بناء ملعب رياضي وحديقة عامة في البلدة بدأ تنفيذه منذ عام 2014، وقد تم بناؤهم على ارض تابعة للبلدية، والمشروع اليوم في مرحلة تجريبية وسيتم افتتاح الملعب قريبا في اوائل الربيع وهو سيساعد شباب البلدة على القيام بالنشاطات الرياضية، كذلك الحديقة العامة التي ستفتح ابوابها قريبا للزوار، ووصلت كلفة المشروع الى 300 مليون ليرة بتمويل من البلدية ايضا". ويؤكد أن "البلدية تتابع ملف اللاجئين السوريين بشكل يومي وتقوم بالكشف على أماكن سكنهم، وبحسب السجلات وصل عددهم الى 280 لاجىء يسكنون في تجمعات كبيرة اي في مصنع ومزرعة في البلدة"، وقال: "لا مخيمات في البلدة فقد اصدر المجلس البلدي قرارا يقضي بمنع اقامة الخيم، وما كان موجودا من خيم تمت ازالته". يقع في العقار الأخير في كفرصارون مسلخ للحوم يشتكي السكان من الروائح المنبعثة منه، ويؤكد الحلو ان "هذا المسلخ غير مرخص وصدرت عدة قرارات من البلدية بتوقيفه. البلدية تقدمت بشكوى لوزارة الصناعة من أجل إقفاله واعترضت على ترخيصه لأسباب عدة ولكن تم فتحه بعد اقفاله من وزارة الصحة بأمر قضائي واصبح الملف بعهدة القضاء"، ويطالب الحلو الوزارات المختصة "بالمساعدة على إقفاله لانه لا يستوفي الشروط الصحية وتوجد قضية مرفوعة ضده قضائيا". عملت البلدية على ترميم كنيسة مار ماما وقامت بتوسيعها واقامة ساحة كبيرة من اجل راحة الزوار وكذلك بناء صالة جانبية للكنيسة من أجل المناسبات الاجتماعية، ويؤكد الحلو ان "البلدية تدرس اليوم مشروع ترميم كنيسة مار تقلا بالتنسيق مع اللجنة الهندسية في المطرانية ونتمنى ان يصل المشروع الى التنفيذ". وفي لمحة صغيرة عن البلدة، تشتهر كفرصارون بأهم الصناعات والزراعات، فعلى الصعيد الصناعي يوجد فيها معمل لصناعة الصابون ومحامص ومخازن تجارية متنوعة على الطريق العام، وتعرف أيضا بصناعة الزيت وزراعة الزيتون، اما عائلاتها فهي: الحلو، ساسين، قزما، ابراهيم، الحاج، صليبا، جبور، حنا، سلوم، جرجس، الياس، خير، ملحم. وأهم الأحياء فيها مار تقلا ومار ماما والحلو والنبعة والعين والريجي والسنديانة والضهر والكروم والصوان والاوتوستراد، وفي البلدة ايضا نشاطات دينية تقوم بها فرقة القديسة تقلا. Lebanon has always been the cocktail and nightlife capital of the region, and last week, the country received worldwide recognition for one of its top bars,Central Station, which landed the 26th spot on the list of the World’s 50 Best Bars 2016, representing the Middle East and Africa as the best bar in the region! Drinks International magazine's prestigious list of the top bars was announced on October 6th in London, recognizing drink excellence around the world. The awards were given by numerous experts including renowned mixologists and cocktail historians. The Dead Rabbit Grocery & Grog of New York City earned the top spot, followed by the American Bar in London in close second. Central Station, which is located in Mar Mikhael, has some of the finest and most creative drinks that attract both the party crowd as well as more serious drinkers. With this achievement, they’ve succeeded in placing Lebanon on the international cocktail map. So the word is out, for the best drinks in Africa and the Middle East, you'll have to come to Beirut! Cheers to Central Station and to Lebanon! Editor’s note: This is part of a series of weekly articles interviewing successful Lebanese entrepreneurs. BEIRUT: The increased number of illnesses over the past few years raised awareness about the importance of using natural remedies to boost the immune system and help the body to better fight diseases. Raw honey is one of the healthiest and most natural food supplements used by people all around the world to boost their immunity and help treat a wide range of health issues. But while all honey is natural because it is derived from the nectar of flowers, not all honey is raw or pure. This is because honey is often heated and processed for pasteurization in a bid to prolong its shelf life. But Marc Antoine Bou Nassif, owner of L’Atelier Du Miel, makes sure to let his customers benefit the most from his products by extracting different kinds of pure and raw honey only. “Our honey is 100 percent pure, we do not heat it, and we have a wide range of products that help in boosting the immunity system against different diseases,” he said. He explained that honey is not a medication that treats diseases but, if 100 percent pure, it helps in boosting the immune system. Bou Nassif, who is originally an architect, started extracting honey five years ago but he launched his brand only three years ago in partnership with his brother and one of his friends. “We had an urge to reconnect with nature and we could not find a better and healthier way than beekeeping,” he said. Lebanon today produces nearly 3,676 tons of honey in a sector that boasts nearly 6,000 beekeepers responsible for some 228,000 beehives, with each hive containing around 50,000 bees. But unfortunately, not all beekeepers in Lebanon have enough knowledge to adopt proper practices in beekeeping. “Some beekeepers tend to use pesticides excessively and in a chaotic way, which leads to killing the plant that feeds the bees,” he said. “At ADM, we never use pesticides or antibiotics but only natural products that are more expensive and that do not leave any trace,” he added. Bou Nassif said that ADM has beehives in many locations in Lebanon including Beirut. ADM produces around 15 tons of honey per year. Bou Nassif and his partners invested around $100,000 at first to purchase the beehives and create the brand and the first point of sale. “We got a subsidized loan from Kafalat as an initial investment but then we decided to grow and expand further in production and sales and this is when we got IM Capital and Diane Foundation in addition to Berytech’s Chairman Maroun Chammas to invest with us,” he said. IM Capital provides matching capital, equity guarantee, as well as support programs to a broad range of qualified early businesses and investors. IM Capital is funded by USAID under the Middle East and North Africa Investment Initiative, aiming to improve access to finance and revenue growth for startups. Bou Nassif said that financing was a bit challenging at first yet it was not exactly time consuming. “We faced a few challenges at first but it did not take much time to finance our project since the idea is attractive,” he said. ADM currently employs 15 to 20 people and its products are showcased in TSC signature, ABC Dbayeh and Lebanon’s duty free, and it is planning to soon open its boutique in Verdun and a main kitchen in Mar Mikhael. “Our Mar Mikhael kitchen will only be serving tea and desserts made of pure honey,” he said. ADM exports only in small quantities to Jordan for the time being based on special orders. “We count mostly on local consumption but in the future we are planning to export this model to GCC by franchising or partnering with people there,” he concluded. Tyre is one of the most beautiful cities in Lebanon; from the old architecture and the quaint port filled with small fishing boats, to the vibrant souk and breathtaking coast - it’s picturesque to say the least. Tyre has always been a great destination for those who want a weekend getaway, or even just a single day! Al Fanar Restaurant: This restaurant is located by the sea with an outdoor area that will make you feel as though you’re floating on the water. Serving Lebanese and Mediterranean cuisine as well as seafood, you can have lunch and enjoy a good cold beer by the sea. Don’t forget to take your swimming suits and take a dip afterwards! Other options: Chez Tony, Le Phenicien, Diver’s Inn, Tanit Restaurant, Tyros Restaurant. 1. Walk in the Old Souk. Chock-full of little shops, you will find anything you fancy in this old souk. But moreover, you will feel the essence of Tyre and its friendly people. The locals are warm and welcoming. Oh, and don’t forget to try the legendary meat sandwich at Mahfouz! Location: one minute away from the old port. 2. Hit up Tyre beach. One of the cleanest beach destinations in Lebanon, the Tyre coast is spacious, beautiful, and full of life. The coast is free for all, with small shacks and cafes along the strip. Go exploring and you can find hidden caves, sea turtles, and good food! 3. Take a walk along the port. There is something magical about old ports, tiny boats, and fisher men. When you head to Tyre, enjoy a nice walk by the port, converse with the fishermen, and take a boat trip. Part of UNESCO's list of World Heritage Sites, this is a must visit for any history buff. The Great Hippodrome was a site for chariot racing, and is a remarkable stone structure. This spot is filled with Roman/Byzantine ruins engraved with old writing. Location: Next to al-Bass area, along the main entrance of Tyre. A gorgeous street paved with geometrical Roman and Byzantine mosaics, and a large public bathhouse dating back to the 2nd century. Get ready to see hundreds of old graves and coffins! Location: Al-Mina (close to the old city). BEIRUT: "What a gorgeous view," Martjin van der Kooij murmurs to himself. Nestled within the Dutch Embassy, on the 10th floor of the Netherlands Tower, he's admiring the perfect chaos unfolding on Charles Malek Avenue below. A Dutch journalist and political commentator, Van der Kooij visited Lebanon for a short few days recently, paying homage to the people and sites documented in his new memoir "Alle Dagen Libanon." "Ah, that's very difficult," Van der Kooij comments while pondering the English translation of the title. "Literally, it translates to 'All Days Lebanon,' but this doesn't make any sense in English." The Dutch author takes his time, turning to his friends in the room for help. "In Dutch, there is an expression 'all day party,' meaning there are always things going on. ... There's a lot of life and it is constant," he attempts to explain. "It's a positive message, and that's how I wanted to refer to Lebanon in my title." Having grown up in the Netherlands from the mid-1970s through the '80s, Van der Kooij was surrounded by news of this small country. The gruesome nature of the Civil War had earned notoriety abroad, making an impression on the aspiring author. "Every day on the news, it was Lebanon. Actually, you can compare it to Syria now. Today, the young people grow up now and see Syria in a bad state ... all the atrocities, the rubble," he says. "When I was growing up, that was Lebanon. I grew up with that idea in my head." After a few decades of observing the country from abroad, Van der Kooij finally bought his tickets in 2006. Unfortunately, his plans were cut short by the Israeli military's 34-day war on Lebanon. This delayed but did not deter Van der Kooij from finally making his trip. "I really developed this curiosity," he explained earnestly, "and I wanted to go to this country that I saw on the TV all the time." Van der Kooij finally did arrive in 2012, with not much more than a backpack, ready to explore physically what he had only experienced through media. "Like I described in the book, I was so surprised by Lebanon. 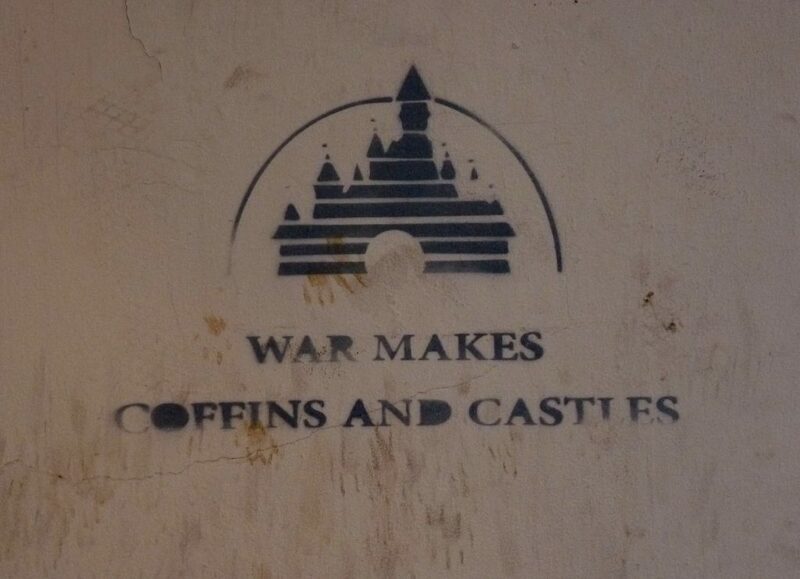 All these images [of war] were still in my head. I couldn't get rid of it, you know?" Like many Western tourists visiting a foreign country for the first time, the Dutch author was confronted by a reality that did not mirror preconceived perceptions. This awakening served as the initial inspiration for his book, as he embarked on a "cultural journey" through the unique and comically contradictory country full of "wonder." "The [culture shock] for me was enormous," he recalled. "The way people drive, it's crazy! The most crazy things happen [here]. You can be scared of it, but it can also make you think, 'Okay, these people live in organized chaos.' ... There is some harmony in it. People know what they can do, and cannot do." Written like a collection of nonfiction stories, "Alle Dagen Libanon" documents the people and experiences Van der Kooij walked himself into after stepping off the plane in 2012. He documents the fortuitous friendships made, an eye-opening trip to Mlita, and unanticipated run-in with authorities in Tripoli. "As a Dutch person, it was an interesting cultural journey to see if [the Dutch] do it all well or if maybe we are too organized and regulated. We can learn something," he suggested. "Bottom line, I wanted to show the diversity in Lebanon. There are so many different communities here, and I wanted my Dutch audience to consider Lebanon in a new light." "Alle Dagen Libanon" will be released in English in the coming year. I mean, you might - I’m no clairvoyant. 1. That's way too much food! 2. I’ve tanned enough this year. 3. I should leave now so I make it on time. 4. Should we walk to [insert location]? 5. Cops make an honest living! 6. I wish there were more motorcycles on the road, and vans! 7. That car crash was my fault, I was speeding and there’s no conspiracy. 8. You know what we need? More sushi restaurants. 9. I’m going to be level-headed and let that car pass by first. 10. We need another mall. 11. We have a plentiful supply of water. 12. Honestly, hummos isn’t that great. 13. I love driving around the city to clear my head. 14. This cab smells great! 16. I don’t have a strong political opinion. 17. Valet parking is such a great deal! لا شكّ في أنكم تذوّقتم أطباقاً أجنبية عديدة وإنجذبتم إلى أنواع معيّنة منها، إلّا أنّ ما هو مؤكّد أنّ المازة اللبنانية لا تزال حتّى هذه اللحظة تتربّع على عرش أهمّ المطابخ العالمية لتنوّع أصنافها، وتعدّد نكهاتها اللذيذة التي تُرضي كلّ الأذواق، وأيضاً لغناها بأهمّ المغذّيات الضرورية للجسم، وقدرتها على تحصين الصحّة ضدّ أخطر الأمراض على الإطلاق. إكتشفوا اليوم خصائص أبرز مكوّناتها. بدءاً من التبّولة والفتّوش، مروراً بالحمّص بطحينة والباذنجان المتبّل، فالسمبوسك والرقاقات وغيرها من المأكولات، تتميّز المازة اللبنانية بإحتوائها كمية متنوّعة جداً من الأصناف اللذيذة التي تُرضي كلّ الأذواق وتُلبّي جميع الإحتياجات من دون أيّ إستثناء. تتميّز السفرة اللبنانية بإحتوائها كمية عالية من الخضار المهمّة جداً للإنسان في حياته اليومية. يُعتبر البقدونس المكوّن الأساسي في التبّولة، واللافت أنه غنيّ بالفيتامين C الذي يزداد معدل إمتصاصه عند إضافة الحامض، إلى جانب الحديد، والكالسيوم، ليشكّل بذلك بديلاً جيداً للأشخاص الذين لا يحبّون منتجات الحليب واللبن. فضلاً عن أنه يزوّد الجسم بالفيتامين B، وحامض الفوليك، والفيتامين K، ومُضادات الأكسدة، ونسبة عالية من الألياف التي تعزّز حركة الأمعاء، والبيتا كاروتين التي تتحوّل إلى فيتامين A. يُذكر أنّ البقدونس يُدرّ البول، ويُسهّل أداء الجهاز الهضمي، ويجدّد الخلايا، ويمنع إلتهابات المسالك البولية، ويخفّض الأوجاع، ويفتح الشهيّة. أمّا البندورة التي تُعتبر المكوّن الثاني الرئيسي في التبّولة والفتّوش على حدّ سواء، فتحتوي الفيتامينين B وC، والكاروتينويد، والليكوبين المضادة للأكسدة التي تحمي من أنواع عديدة من السرطان خصوصاً البروستات، والألياف، والمعادن كالماغنيزيوم. أظهرت الأبحاث أنّ تناول نحو 6 ملغ من مادة الليكوبين، أي نحو ثمرتين من البندورة، يقلّص خطر الإصابة بسرطان البروستات بنسبة تصل إلى 20 في المئة. يُشار أيضاً إلى أنّ البندورة تساعد على محاربة تصلّب الشرايين وأمراض القلب. هذان النوعان من سَلطات الخضار يزوّدان الجسم بمجموعة كبيرة ومتنوّعة من الفيتامينات، والمعادن، لإحتوائهما مختلف أشكال الخضار وبكافة الألوان. اللافت أنّ الفوائد المذكورة تصبح أقوى عند إضافة زيت الزيتون. ملعقة واحدة صغيرة من هذا الزيت تحتوي 45 كالوري، ويتميّز بإحتوائه الدهون الأحادية غير المشبعة التي تحارب السرطان خصوصاً الثدي، وأمراض القلب، ويتمتع بخصائص مضادة للأكسدة لإحتوائه الفيتامين E، وهو مفيد جداً للبشرة والشعر، وأيضاً لأصحاب الضغط المرتفع، ومرضى السكري، والروماتيزم، وترقق العظام، والكولسترول. يُعتبر الحمّص من بين البقوليات الغنيّة بالبروتينات، والألياف، والفيتامين B، ومعادن الحديد، والزنك، والماغنيزيوم، والسلينيوم. كلّ نصف كوب من الحمّص يؤمّن نحو 4 غ من الألياف، ألا وهي كمية جيّدة جداً. لعلّ أبرز ما يميّز هذا النوع من الحبوب الصفراء تحلّيه بقدرة على محاربة تصلّب الشرايين، وخفض الكولسترول السيّئ. يزوّد الجسم بسعرات حرارية أقلّ من تلك المتوافرة في الحمّص، لذلك يُفضلّ على الأشخاص الذين يتبعون حمية غذائية التركيز على الباذنجان المتبّل بطريقة مدروسة. كذلك تُعتبر كالوريهاته قليلة بالنسبة إلى قيمته الغذائية العالية، فهو غنيّ بالألياف، ومادة «Saponin» التي تحارب إمتصاص الدهون والسيلوليت، ومضادات الأكسدة، والفيتامينين C وE، وقد أظهرت الأبحاث أنه يحارب أمراض القلب والسرطان. تدخل في صناعة الحمّص بطحينة والباذنجان المتبّل، وهي عبارة عن دهون مصدرها بذور السمسم، ما يعني أنها غنيّة بالحديد والكالسيوم، والفيتامين B، والبروتينات، والدهون الجيّدة، وتُعتبر مفيدة جداً للكبد. ملعقة صغيرة من الطحينة تحتوي نحو 30 كالوري، وبالتالي يجب تناولها بإعتدال للإستفادة من دهونها الصحّية بطريقة جيّدة. تماماً كالحمّص، يشتهر الفول بإحتوائه جرعة عالية من البروتينات، والحديد، والألياف، والماغنيزيوم، والبوتاسيوم، والكالسيوم. يُنصح بإضافة الحامض إليه لتعزيز نسبة إمتصاص الحديد والبروتينات، وأيضاً تنكيهه بالكمّون لخفض حدّة النفخة. من الأطعمة الغنيّة بالألياف، والحديد، والفيتامينات A وB وC، وينعكس إيجاباً على الكبد، والسكري، والروماتيزم، وأمراض القلب، والسرطان. يجب عدم نسيان أنّ ورق العريش يحتوي الأرزّ، أي النشويات، لذلك يجب تناوله بإعتدال. يحتوي الكالسيوم، والبكتيريا الجيّدة المفيدة للجهاز الهضمي، ويُعتبر معتدل السعرات الحرارية بالنسبة إلى باقي أنواع الأجبان. 30 غ من الشنكليش تحتوي نحو 65 كالوري، وعند إضافة إليه زيت الزيتون ترتفع خصائصه الصحّية، وبالتالي لا مانع من التلذّذ به بإعتدال. يُفضّل تجنّبها لأنّ خطر إحتوائها البكتيريا يكون مرتفعاً جداً. لكن عند الرغبة بإستهلاكها، يجب التأكّد جيداً من مصدرها والحرص على عدم الإفراط في الكمية لخفض إحتمال الإصابة بأيّ ضرر. مشكلة اللحوم النيّئة لا تقتصر فقط على إحتمال إحتوائها البكتيريا، إنما أيضاً بسبب غناها بالدهون، والكولسترول. تحتوي الكثير من البروتينات، والحديد، والزنك، والفيتامينين A وB. إنها مفيدة للأشخاص الذين يعانون فقر الدم، لكن يجب تناولها بإعتدال في حال السيطرة على مجموع الكولسترول. الأفضل أن تكون مشويّة لتفادي الدهون السيّئة الناتجة من القلي. صحيح أنّ الرقاقات تحتوي العجين المليئة بالكالوري، لكن هذا لا يعني أنها غير مُجدية لإحتوائها الجبنة المغذّية، وكذلك الأمر بالنسبة إلى السمبوسك والكبّة اللذين يحتويان اللحوم. وختاماً دعت الغزال إلى «عدم الحرمان من الميزا اللبنانية المتنوّعة والشهيّة، إنما تذوّق كلّ الأصناف بإعتدال والتركيز بشكل خاصّ على الأطباق الصحّية كالتبّولة، والفتّوش». ولفتت إلى أنّ «المطبخ اللبناني ينتمي إلى حمية البحر الأبيض المتوسط المعروفة بفوائدها الصحّية، وغناها بالخضار، والفاكهة، وزيت الزيتون... لذلك يجب الإستفادة منه إلى أقصى درجة ممكنة. حتّى عند إتباع حمية لخسارة الوزن، يجب ألّا تحرموا أنفسكم من السفرة اللبنانية بمختلف أطباقها الشهيّة، إنما تلذّذوا بها بإعتدال للحفاظ على وزنكم وصحّتكم في آن». It’s not as popular as pizza or falafel, but someday it could be. In Lebanon, the manoushe is omnipresent — a flatbreadbest served fresh from the corner bakery’s oven and eaten on the go. It’s typically slathered in zaatar, a thyme herb mix with sesame seeds, often with dollops of labneh, a tangy thick yogurt. Despite the waves of Lebanese immigrants who have immigrated to the U.S.and made manoushe at home or at local bakeries, it has yet to be widely available to the general public. But that’s changing. A handful of immigrant entrepreneurs have launched manoushe-centric businesses in city centersacross the country geared towards a diverse customer base—and they’re flourishing. “Somebody needed to do it,” laughs Ziyad Hermez, 32, the owner of Manousheh NYC, New York City’s only “manousherie” (falafel, hummus, and other regional staples like baba ganoush, are not on the menu). At the tiny, sleek, glass-front eatery — which opened in March 2015 in the trendy West Village — a carefully curated mix of American indie-pop songs and Arab classics play over the speakers. Hermez and his employees dress casually, speaking in English with a sprinkling of Arabic. Customers range from curious passersby who probably couldn’t locate Lebanon on a map, to NYU students, to natives of Lebanon and the surrounding region who are living or traveling in New York. A young woman visiting from Lebanon nibbles on a manoushe. “If I close my eyes, it’s like I’m in Beirut,” she says. Amid the scent baking bread, which wafts from the colossal central oven, Hermez, who is of Lebanese descent but grew up in Kuwait, explains that the inspiration for Manousheh NYC was simple: Longing. When he moved to Washington,D.C., for college in 2002, he was astonished he couldn’t find a fresh baked manoushe (sometimes spelled manousheh, mana’oushe, man’oushe, and man’oushé in English). The hunt continued when he moved to New York City and was working in IT. He missed the taste of a freshly baked manoushe and the intimate experience of walking into the neighborhood bakery that sold them. And he felt New York City was ripe for a manousherie; the flatbread is the perfect snack—like aslice of pizza, a bagel, or falafel—for busy city dwellers eating on the go. Today, business is brisk. Each manoushe at Manousheh NYC sells for $5 to $8, and customers can choose from a number of styles, including a daily special and “lahem bi ajine,” which is topped with minced beef, tomato and spices. Hermez estimates he sells an average of 200 manaeesh (the plural of manoushe) per day. Over on the West Coast, Reem Assil has been selling manaeesh at pop-ups, catered events, and a local farmer’s market in San Francisco for several years. She offers a few non-standard artisanal toppings like pickled turnips, but uses the traditional, albeit slow, domed saj grill, which issimilar to an upside-down wok. At the farmer’s market, customers of all types patiently wait in line. “We’re making a little extra effort to translate, but not water it down,” she explains. Having raised $50,000 on Kickstarter as part of an OpenTable competition for aspiring restaurant owners (which she won), Assil is planning to open a cafe selling Arab street foods in Oakland this fall. When Hosn launched his manaeesh endeavor in a corner of Goodie’s, the business exploded. He even paid for a baker to come from Lebanon to teach manoushe making for a week. Eventually, Man’oushe Express replaced Goodie’s, which has since moved downstairs. “I am very surprised,” says Hosn of the manoushe’s instant popularity. He guesses 40 to 50% of his customers are American-born with no connection to Lebanon or the surrounding countries. “They’re hooked on it!” he says with delight. None of these manoushe entrepreneurs know why previous generations of Lebanese immigrants didn’t market the fresh baked manaeesh to the general public. Some believe it was the scarcity of good zaatar in the U.S., others guessthey figured manoushe, which is considered a simple street food and is often eaten for breakfast, wouldn’t translate. But in 2013, with the U.S. publication of Man’oushé, Inside the Street Corner Lebanese Bakery, a beautiful, coffee table-style cookbook by Barbara Massaad, the manoushe received a dose of mainstream publicity. “People used to make fun of me,” Massaad recounts,speaking from Beirut. When she started working on theproject, everyone thought an entire cookbook dedicated to the common manoushe was odd. But Massaad’s loving and respectful treatment, visible in her gorgeous photos and 70 recipes, has since elevated the manoushe, even in Lebanon. Assil calls Massaad’s cookbook her “bible” and Hermez proudly displays it on the counter of Manousheh NYC. Time will tell if manoushe eateries will become part of the U.S’s cultural and economic fabric, as so many other establishments selling international food have. Early signs are promising: Hermez has received franchising inquiries from Los Angeles, Toronto, Montreal, Berlin and Amsterdam. While he believes Manousheh NYC’s success can eventuallybe replicated in cities globally, he’s focusing on the one store. “It’s way too soon,” he says. The franchise offers can wait — for now. I remember that when I visited Byblos, in the Jbeil district of Lebanon, in the summer of 2011, I felt like a true beholder of history. Historians agree that it’s the second oldest continuously-inhabited city on earth, runner-up only to the Palestinian city of Jericho. I sat at Feniqia restaurant in the heart of the old Phoenician city, eating shanklish cheese and tabbouleh and imagining life in that very spot, if time were to rewind 7,000 years. Since about 5,000 BCE, people have been walking the streets of this city. Bartering turned into buying and selling; hunting and gathering was first conducted out in nature, but in the present day, it all goes down in the local souk. Undoubtedly, homemakers hunt for thefreshest red peppers to use for muhammara (see our recipe here) and gather the heartiest chickpeas for making hummus, a recipe that has been perfected over generations. Through successful trade with Egypt, Byblos grew from a small village to a wealthy city. Today still it thrives, by way of a modern phenomenon called tourism, attracting travelers like me looking for a journey back in time. Byblos was named the 2016 Arab Tourism Capital by the Arab Council of Tourism. Green Prophet was here to salute Erbil and Sharjah as the Arab Tourism Capitals of 2014 and 2015, respectively. Although thousands of tourists visit Lebanon every year, with Byblos as the top of their to-see lists, municipal leaders say they expect an increase in tourism by up to 30 percent, in the foreseeable future. There are plans to inaugurate five-star international hotel chains and, well, keep up the good work with the Lebanese cooking. Archaeologically, Byblos is fascinating. It is home to Neolithic, Chalcolithic, Greek and Roman ruins, including a Church of St. John the Baptist and a restored 12th century Crusader castle. The Byblos International Festival is an annual summer music festival and the biggest public event in Lebanon. Musicians and singers from all over the world, including but not limited to the Middle East, fill the air with everything from classical sounds to pop tunes. For the last few years, the municipality has projected a brief 3D animation movie showing historical highlights of Byblos on tower walls in the fishermen’s harbor. Efforts for environmental sustainability are also at work. The air in Byblos is cleaner than it has been in a while. With aims to make Byblos more pedestrian-friendly, local leaders recently closed part of the old city to vehicles after 4pm on weekdays and noon on weekends. With decreased air pollution and less noise, visitors will be breathing fresh air in this very old city. I’d recommend a few days in Byblos, although it could easily be made into a day trip from Beirut. I think spending more than 24 hours there only makes sense, for you’ll be stepping far, far back in time and there’s a lot of ground to cover! What will the Arab Tourism Capital of 2017 be? Comment below with your guesses. Image of Byblos harbor from WorldFoodist.com. Image of me dining at Feniqia restaurant provided by me. Image of Byblos International Festival from the Byblos International Festival Facebook page. Don’t spend your entire vacation in bed watching series! Choose one of the below things, then go straight back to bed and finish Narcos. 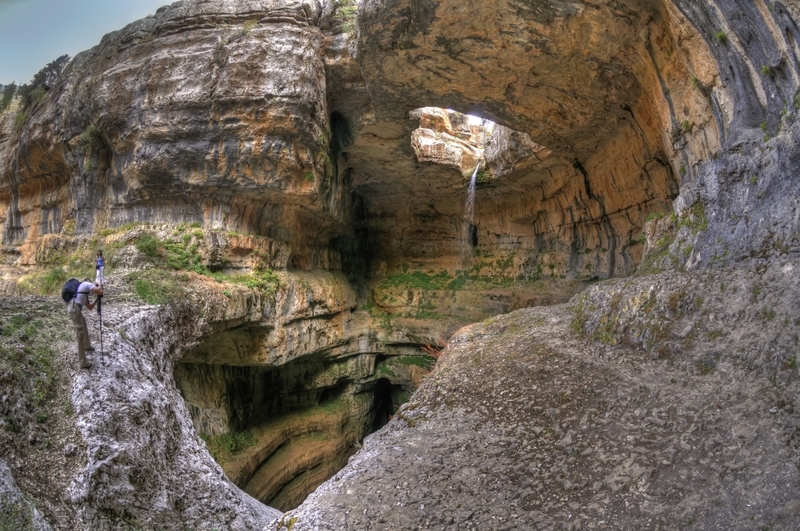 Do something different and healthy this long weekend by heading up to Maaser el Chouf for a yoga retreat! Cost: $60/person, including all yoga sessions, accommodations (3-4 persons/room), dinner, and breakfast. Don’t miss one of the most iconic shows currently touring the world! Take a seat and witness the one-of-a-kind worldwide success deliver state-of-the-art performances of acrobatics, dance and circus-like acts. Cost: different ticket prices available. Looking for a more relaxing night out? The Real Deal Blues Band will be performing amazing Blues music at The Blue Note Cafe in Hamra. Everything from house decoration, furniture, electronics, clothes (for men and women), shoes (heels and flats), accessories, bags, hats, scarves, books, a few musical instruments... and some giveaways! Don’t miss it. Yukunkun and Wickerpark are happy to host the official post-festival party at Ô-Glacée with an awesome DJ line-up! Don’t miss out on this awesome after party. Hands down the most laid-back, affordable and rewarding live-music experience in the country, this incredible music and arts festival is back! Head to the awesome location in Batroun and listen to local favorites like The Wanton Bishops, Loopstache, and many others! Haven’t seen any good plays recently? Here’s your chance! Five Arab women tell their stories from behind their respective cages: they bravely reveal their chains, their frustrations, their anger; and the Man, from his position between jailer and confessor, listens to them and provokes them. Cost: 40,000 LL - 30,000 LL for students. Latin music and dance lovers, this one’s for you! Bringing you more than 90 artists, 15 DJs,120 workshops, 90 shows, 3 arenas to party, beach and pool parties, and many more surprises! Cost: Between $125 and $215. Brooklyn based DJ producer and Extinct Records’ own Brian Cid will be crossing your path and making his debut appearance in Beirut on Saturday, with a cluster of refreshing Tech-House and Deep fused sounds that will certainly leave you wanting more!